Anyone else getting Deja Vu? The weather was similar this time last year and the chaos the same. The world keeps turning and life must go on. Winters come and go, to return again… just as the summers do. So why are so many people surprised or shocked when it happens again? So whilst it looks bleak for the councils gritting roads and people who need to go to work, kids are out having fun in the snow and so are some of the adults. Driving isn’t safe, so staying in the warmth sounds like a good idea, extending the Christmas holidays. With a cup of hot chocolate and snuggling up to watch TV / DVD’s, read a good book or just spend more time on the internet and facebook. Enjoy the weather and time off, as it will be time to go back out soon enough and spring will be around the corner. If it wasn’t for the cold, how would we know to enjoy the sun? The council’s running out of grit and it’s not the first time. The 2009 grit supplies issue from the Local Government website would be lessons to learn from wouldn’t they? Here is the 2010 briefing on what is happening. As long as your council tax money is going to cover wages and meetings but NOT towards rubbish collections and icy roads, at least you know it’s being well spent. West Berkshire council confirmed that it had received an emergency delivery of salt from neighbouring Hampshire hours before it ran out. But it still only had supplies for two or three days. Harrow council, in north London, said it could run out by the end of the week if severe weather continued. 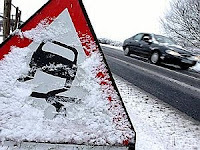 Durham County Council has halted gritting of minor roads because of “uncertainty” over salt supplies. GRIT supplies in Kirklees could run out today, as more bad weather is forecast for the rest of the week. Harrow council in north-west London described the grit supply situation as “pretty outrageous”. Many councils in Scotland have said they are running low on salt and grit, which has prevented them from treating the icy roads in the longest winter freeze for two decades. …to wish you all a Very Merry Christmas and HAPPY HOLIDAYS! Thank you for your friendship and support over the last year and it was great catching up with all my old friends and the new ones too. I look forward to many more happy moments in 2010 and wish you all the same. Sending love to you, your families and loved ones. Controls: Use your mouse to click on your snow buddies and then drag them around to avoid being hit. 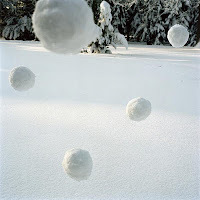 Click on them and release the button to throw the snowball. The meter above them shows the power. Easy! …in this winter wonderland! SNOW – Fun for the kids, no fun for the adults. Some see snow and it brings out the inner child of wanting to go out and stomp in it, have snowball fights, go sledging and make snowmen. Others see it as a problem, difficulty getting to work, snow to clear, getting wet and dangerous roads and travel. Snow like everything else in life is neither good or bad, just your perspective and feelings on it make it whatever it is in relation to you. Facebook has about 3 times as many people online chat today, compared to the usual I see… it’s almost like school being cancelled when you were a kid and you could stay home and play out in the snow. Now replaced with online, surf and socialise. Are we getting old!? It’s only winter and a few little flakes of snow! Either we can choose to stay in and have a rest or get on with things and not let it bother us and make things happen. Winter is here but it’s not going to last forever. The cold will kill a lot of the germs and viruses going round as well, so it’s a good thing. I’m tempted to sleep it off but have things to do that won’t wait for the weather. OK, I got to do some work… just thought I’d say hi to you all! It’s nice being self employed and able to work from home. I kept telling people to take it steady in winter and hibernate… wouldn’t have to worry about snow then, just being wrapped up nice and warm. London Mayor Boris Johnson has said he is cancelling the congestion charge for a day after “climatic” weather conditions brought the capital to a standstill. Heavy snow is a regular occurrence in parts of continental Europe and northern areas of Scotland. Even in southern England, snow and Arctic conditions punctuated winters in the middle of the 20th Century. But how did they handle it then, and how do they cope with it now?